Microbiology Congress 2018 is glad to announce the upcoming “8th Global Summit on Microbiology and Infectious Diseases” to be held on February 22-23,2018 at Paris, France. Microbiology Congress 2018 takes immense pleasure in inviting the scientists, researchers, professors, delegates across the continents to the upcoming clinical microbiology conference based on theme "Novel Trends on Microbiology and Infectious Diseases”. Microbiology Congress 2018 organizes about over 1000 Global Events which are inclusive of the 400+ Conferences, 300+ Workshops and about 300+ Symposiums every year throughout the world- across USA, Europe & Asia-Pacific with the support of over 1000 scientific societies, while having already published about more than 500 Open access journals containing over 50,000 eminent and reputed scientists as editorial board members. Student Poster Competition is organized at Conference, to encourage students and recent graduates to present their original research which will be later published in our supporting International Journals. All accepted abstracts will be presented at the poster sessions during the conference. 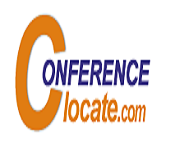 Conference Series provides an opportunity to present E-Poster for all the students who cannot attend the conference. 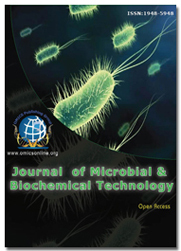 Abstract published in the website with DOI number Live Streaming is a value added service offering to speaker at Microbiology Congress 2018 Conference. Microbiology Congress 2018 ardently encourages patrons, benefactors, pioneers, and exhibitors from across the world to convene you all to attend and register for the “8th Global Summit on Microbiology and Infectious Diseases” which is going to be held on February 22-23, 2018 at Paris, France. The organizing committee is endowing for a rather stimulating and illuminative conference programs subsuming Plenary Lectures, Symposia, Workshops on a myriad of topics, Poster Presentations and an assortment of programs for participants from over the globe. We invite you to accompany us at the Microbiology Congress -2018, where you are assured to have a substantially worthwhile experience with ecumenical scholars. All the representatives of Microbiology Congress -2018 organizing committee look forward to meet you at Paris, France. Microbes are a very important component of life on earth. Not all microbes are pathogenic. Many microbes are very useful to human beings. We use microbes and microbially derived products almost every day. Antibiotics have played a major role in controlling infectious diseases like diphtheria, whooping cough and pneumonia.. Microbes brings lot of welfare for human beings in Vaccination and Antibiotics, Household Products like Lactobacillus is a bacterium that is found in curd, Sewage Treatment -Bacteria such as Nitrosomonas, Nitrobacter, are involved in fermenting sewage. Pseudomonas is also one of the bacteria involved in breakdown of organic matter. Gobar Gas Formation- Gobar gas is formed anaerobically by Methanobacterium.Viruses are used as a vector for transmission of required gene during recombinant DNA Technology. Pharmaceutical Microbiology deals with the study of microorganisms that is concerned within the manufacture of prescribed drugs. 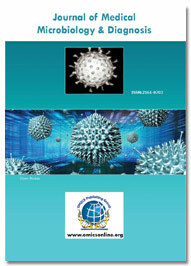 Alternative aspects of pharmaceutical biological science embrace the analysis and development of anti-infective agents, the employment of microorganisms to sight agent and malignant neoplastic disease activity in prospective medication, and therefore the use of microorganisms within the manufacture of pharmaceutical product like endocrine and human human growth hormone. Marine microbiology is the study of the microorganisms (bacteria, archaea, viruses and microbial eukaryotes) in the marine environment, including their biodiversity, ecology and biogeochemistry. The use of metagenomics has been fundamental in revealing the abundance and composition of marine microbial ecosystems. Biofuel is energy source made of living things, or the waste that living things turn out. Supporters of biofuels argue that their use might considerably cut back greenhouse emissions;whereas burning the fuels produces CO2, growing the plants or biomass removes carbon diozide from the atmosphere. A biofuel could be a fuel that's created through up to date biological processes, like agriculture and anaerobic digestion, instead of a fuel created by geologic processes like those concerned within the formation of fossil fuels, like coal and crude oil, from prehistoric biological matter. 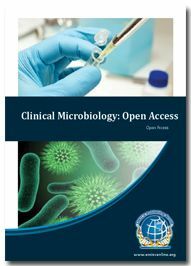 The global clinical microbiology market was valued at USD 8.4 billion in 2015 and is expected to reach a value of USD 16.1 billion by 2024. 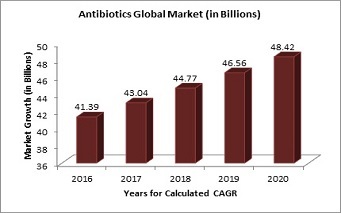 Key factors driving the market growth include constant introduction of advanced products coupled with increasing demand in pharmaceutical and clinical applications for investigation and diagnosis of various infectious diseases. 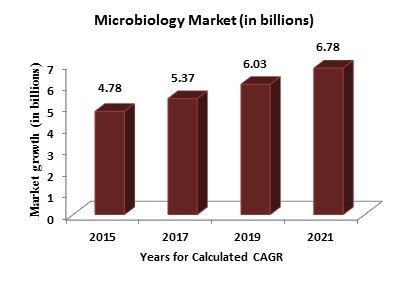 Microbiology market which earlier accounted for $4.78 billion in 2015 is expected to reach $6.78 billion by 2021, growing at a CAGR of 6.0% in the years 2015 and 2021. In geographical terms, Europe was the second-largest shareholder of the global microbiology market in 2016, making prominent market due to factors like acceptance of genome-based diagnostic techniques, supportive government policies, large number of clinical, medical, molecular, immunological and microbial procedures performed across the region with the growing incidence of the headquarters of numerous biotechnology and molecular diagnostic companies in this region. 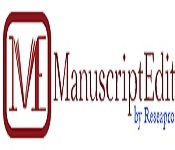 Research has segmented the clinical microbiology market by product, application, disease and region. Growing geriatric population and thereby rising prevalence of infectious diseases is one of the major factors boosting the adoption of clinical microbiology in healthcare sector for disease diagnosis and monitoring. In addition, industry is gaining high momentum with launch of innovative products such as MALDI Biotyper, GeneXpert and Myla IT performance management solutions. 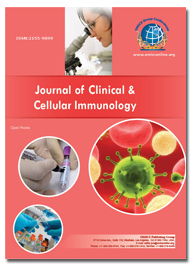 "Increasing incidence of infectious disease is expected to drive the market expansion over the forecast period"
The global clinical microbiology market was valued at USD 8.4 billion in 2015 and is projected to grow at a CAGR of 7.3% over the forecast period. The high growth would be attributed to increasing demand for laboratory services in order to detect pathogen-based diseases coupled with escalating need for control measures for infectious disease spread. Microbial life is amazingly diverse and microorganisms literally cover the planet. It is estimated that we know fewer than 1% of the microbial species on Earth. Molecular biology has revolutionized the study of microorganisms in the environment and improved our understanding of the composition, phylogeny, and physiology of microbial communities. The current molecular toolbox encompasses a range of DNA-based technologies and new methods for the study of RNA and proteins extracted from environmental samples. Currently there is a major emphasis on the application of "omics" approaches to determine the identities and functions of microbes inhabiting different environments. Owing to the clinical and medical market, it is expected to reach USD 5.77 billion by the year 2021 from USD 3.35 billion, growing at CAGR value of 11.5%. With the advent of new technologies and innovations, for instance, PCR, the driving force behind the growth of the microbial diagnostic market. With the automation in the technologies in the clinical diagnostics, the traditional clinical microbiology diagnostics has seen a drastic fall, due to the reduction in the labor, time, chemicals, and other cost pressures. The highly rising molecular diagnostics market is expected to reach USD 9,333.8 Million by 2021 growing at a CAGR of 9.3% from USD 5,983.5 Million in 2015. The advent of vaccines to prevent deadly childhood illnesses was one of the great success stories of the 20th century. Recent advances in vaccine technology stemming from the application of genetic engineering are now providing an opportunity to target new diseases. The previous century’s successes in reducing the primary causes of mortality in childhood now include protecting against infectious agents that can result in significant morbidity. Scientific progress and these broadened applications will no doubt result in improved health-based outcomes, but progress often comes at a significant short-term cost. Although it is true that improved outcomes are the goal of health care technology and that preventing disease is preferable to treatment, thus reducing overall costs, confusion persists about the best course going forward. Geographically, the vaccines market is dominated by North America, followed by Europe, Asia, and the Rest of the World (RoW). Growth in the North American segment is primarily driven by government initiatives for immunization against diseases such as influenza and HPV in the North American countries. Serum Institute of India Pvt. Ltd. (India). 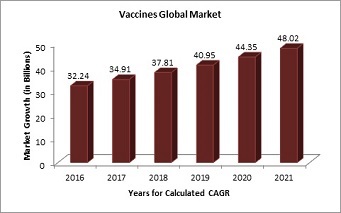 The global vaccines market, it is expected to reach $48.03 billion by 2021 from the current $32.24 billion in 2016 growing at a CAGR of 8.3%.While coming to the global antibiotics and the anti-bacterial market was valued at $41.39 billion in 2016 and is expected to reach $48.42 billion by 2020, at a CAGR of 4.0%. The global market for antifungal therapeutics was valued at $10.7 billion in 2013 and is projected to reach $12.2 billion in 2018, a five-year compound annual growth rate (CAGR) of 2.7%.